I was born and raised in Athens, Henderson County, Texas. I have always had artistic leanings and was encouraged by my parents. Our home was filled with friends that enjoyed art work and jazz music, along with discussions about religion and politics. 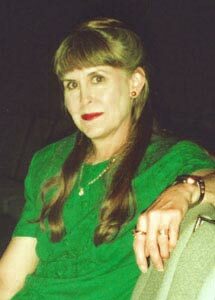 When I was 14 years old, East Texas Artist Zillah Elledge was killed. She had always been an advocate for artistic endeavors and I was given her art materials when her estate was settled, and have been painting to some extent since that time. After raising children, I began to paint on a more routine basis and have taken workshops with Virginia Vaughn, Jeff Legg, Mark Carder, Sherry Hall Shelton, Andrew Wages, Bruce Peil, and Charlie Bullock. I paint in oils, pastels, and watercolor. I have developed a fondness for an oil and wax (encaustic) method of painting, which creates an added luminosity and texture to the painting. I also work in colored pencil and graphite. I have been a member of the Henderson County Art Club for over thirty years. I have served as president and vice-president of this organization for several terms. My work has been blessed with numerous awards from area art shows and exhibits. Site Content Copyright © 2009-2019 Toni Stanford. No content on this site may be copied, downloaded, or otherwise used without the express written permission of the copyright holder(s).